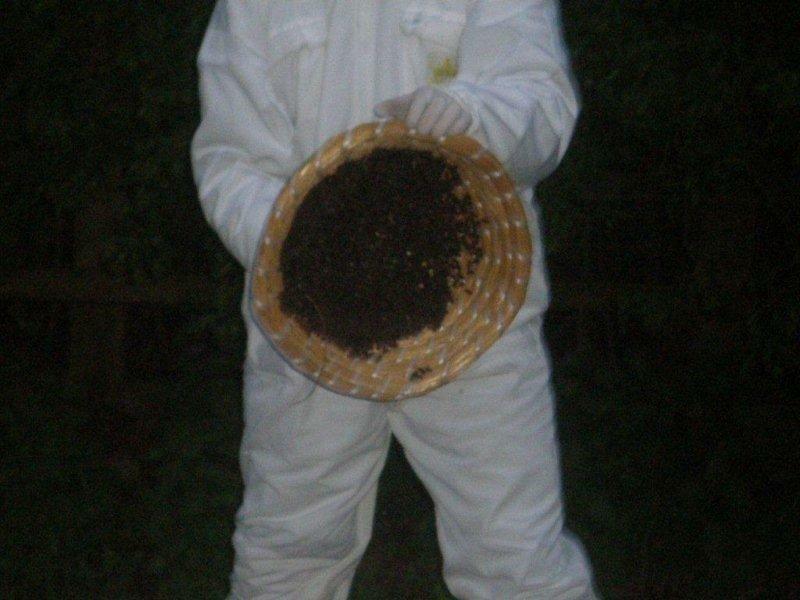 As part of the practical outdoor sessions in the 2010 beginner's course, the students were taken to a swarm and helped collect it. 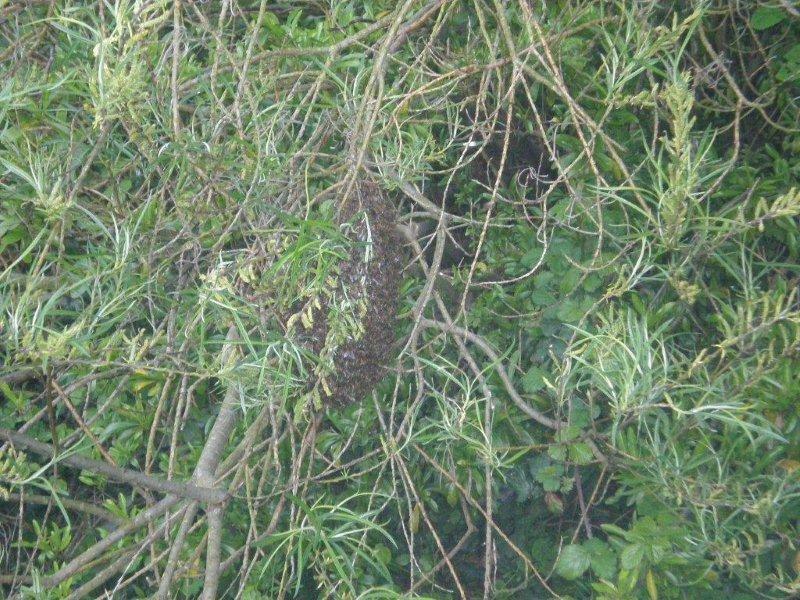 The swarm was taken to the association's hives in Cosgrove and placed into one of the spare hives. Preparing to collect the swarm. 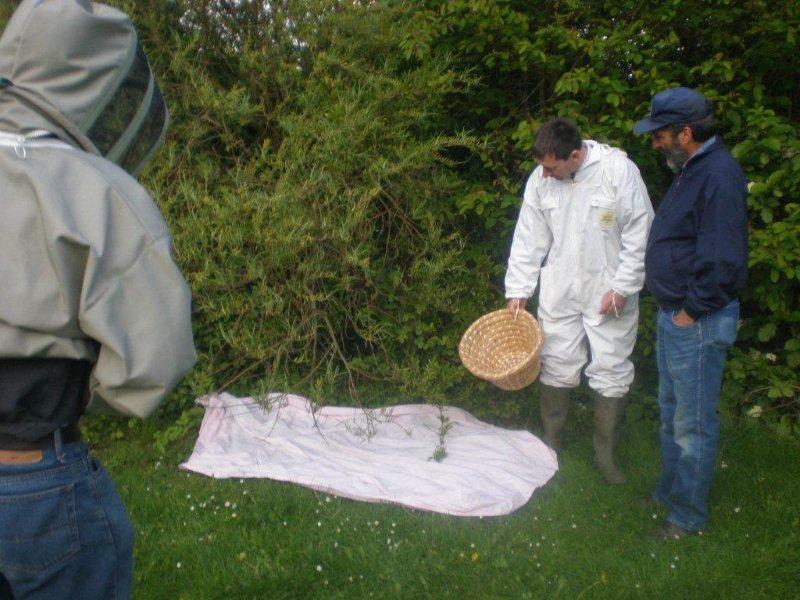 A sheet is placed under the branch and the beekeepers don their protective clothing. The skep is placed upside down just under the branch and the twig snipped. The bees drop into the skep and it is placed the right way up on the sheet. One side of the skep is propped open to allow the flying bees in. After a few minutes, the skep is lifted and the bees can be seen inside. They have climbed up to the top. 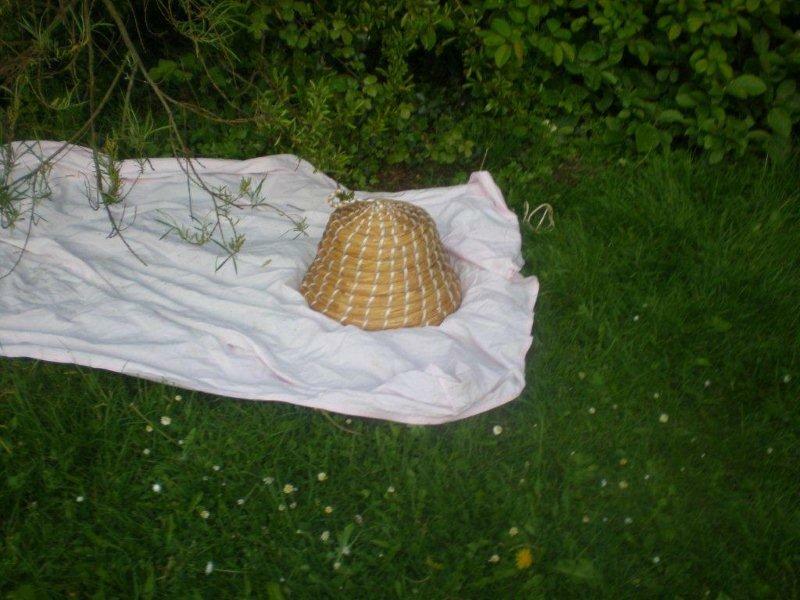 The skep is wrapped in the sheet and picked up for transport to the the apiary. The sheet is unwrapped and placed at the opening of an empty hive. 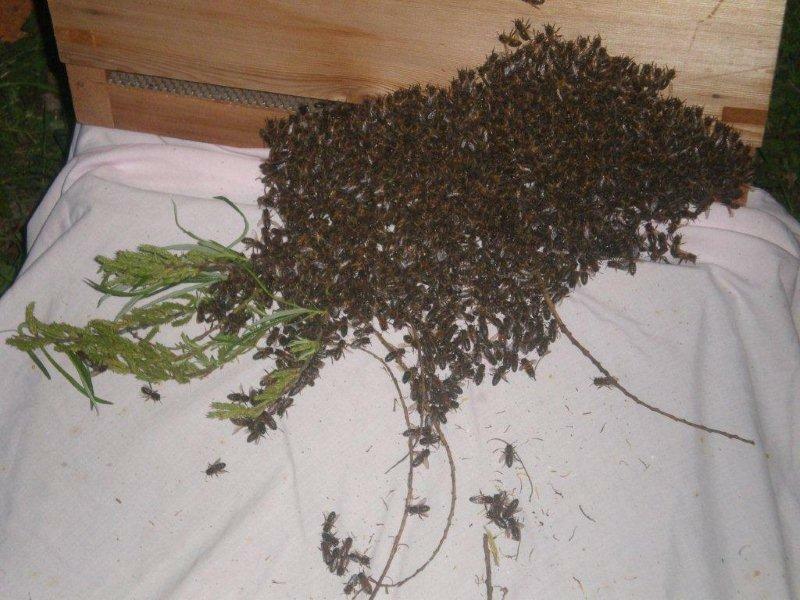 The bees are shaken onto the sheet, and they will walk up the sheet and into the hive. Thanks to Karen Dale for the photos.